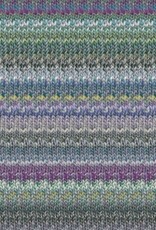 Noro - Kibou Harmonize natural unevenness, asymmetric pattern and complex color to portray the beauty of the nature. Taking sufficient time to dye and yarn natural flavors and tenderness of materials to preserve their original characters and deliver them into the hands of you. “BE FREE FROM EXISTING CONCEPTS AND LIMITATIONS” “PURSUE THE IMAGE IN OUR MINDS” These are what we value for our manufacturing. The World of Nature. 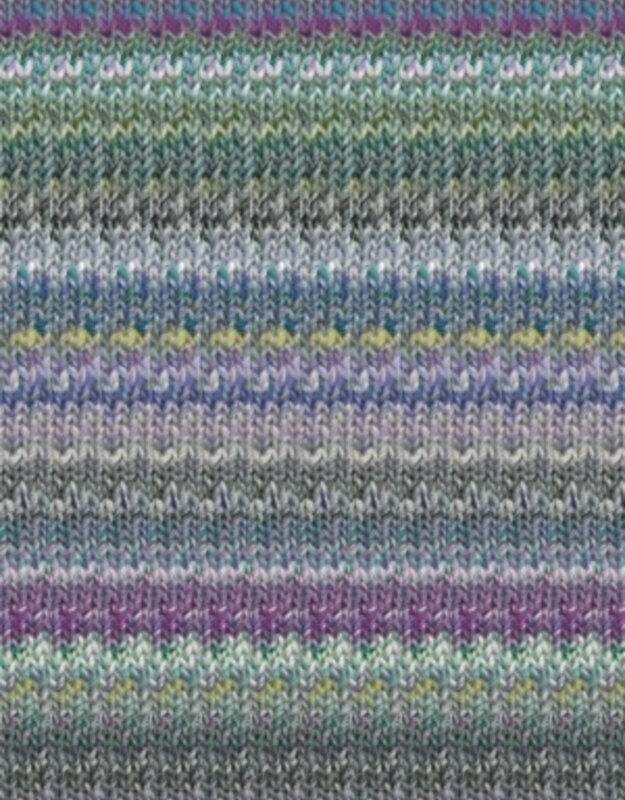 DK Weight 54% Cotton, 34% Wool, 12% Silk with approx 297 yards per 100g that knits to 5-5.5 sts per inch on a US 5 needle. Packaged as skeins.